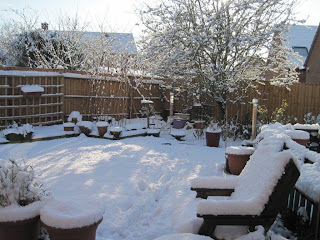 On 10 January I woke up to the scene below in my back garden and temperatures of -1 degrees. 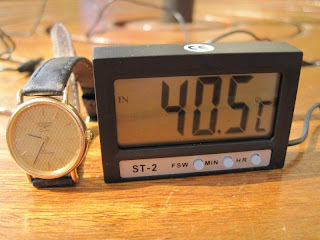 24 hours later the temperature in the villa’s garden was much warmer! Monday was a day for sorting out the essentials. 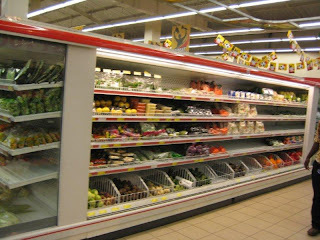 A trip to the recently opened and nearby shopping mall meant a visit the supermarket to stock up on food and water. Whilst supermarkets are nowhere near as common as in the UK, those that do exist are the same as virtually everywhere else in the world. Whilst locally produced bands are reasonably priced and often significantly cheaper than for similar products in the UK, the price of well known brands imported from abroad are expensive, e.g. a small box of Kellogg’s cornflakes cost about £3. Fortunately for me, Coca-Cola is readily available throughout the world and usually much cheaper than in the UK, even if the Diet (Lite) variety is a little more difficult to come by. 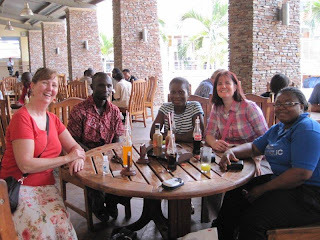 Miriam, who doubles as our villa manager and chef, accompanied us to the mall and advised on the ingredients we would need for some typically Ghanaian dishes, so chicken and red snapper fish went into the trolley. 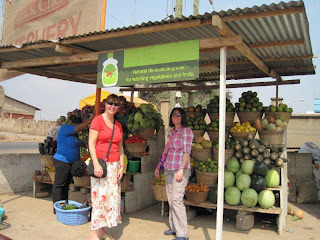 She also suggested we bought the fruit and vegetables from one of the many roadside sellers as the produce would be fresher and cheaper from these outlets. Buying from such traders also has the added benefit of supporting small producers and individual traders rather than the large supermarket chains. Mobile phone and internet connection was organised in the shopping mall. Without the internet I would not be able to complete my blog or keep track of Arsenal’s successes on the pitch! I was amazed to learn that it is cheaper to use a mobile phone to call the UK (using a Ghanaian SIM card) than it is to use a mobile phone to make calls in the UK – what does this say about the cost of calls in Europe?! The highlight of Day One was meeting Alfred and his wife Grace for lunch. Alfred is the Global Partnership Co-ordinator at one of Walton High’s partner schools, Jamasi Methodist Junior High School. At this meeting we learnt a lot about Ghanaian society and the challenges facing teachers and students in state schools across the country. Both clearly have a lot to offer the Ghana Education Service so it was disappointing to learn that they were thinking of moving to the USA. Unfortunately it appears that teachers pay does not compare favourably with other public sector workers, such as nurses. As a result we have been told that for many people teaching is a career taken up as a last resort and that this lack of positive motivation can have a negative impact on the commitment of some teachers and educational standards generally.